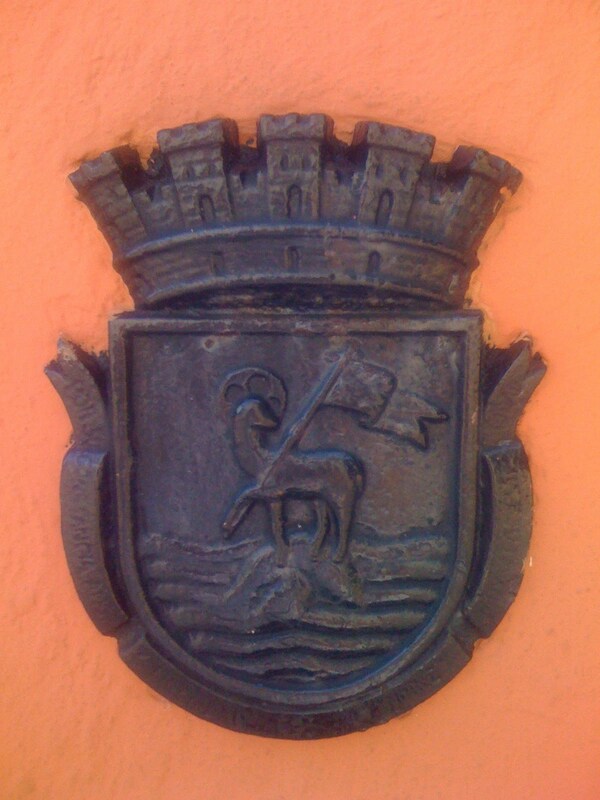 After enjoying a freshly squeezed orange juice "china", or sweet orange from the stand with the guy driving an electric peeler machine, walk along Paseo de la Princesa promenade to Raices Fountain where you'll see these beautiful metal crests adorning orange gates that open to the fountain. This area has a great view across the San Juan Bay. 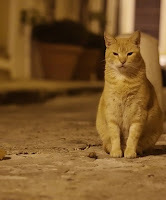 The lovers lane path that follows the city walls and the San Juan Bay will eventually take you to the San Juan Gate, where you can head into Old San Juan and, wearing your orange colored glasses, view these orange houses, toes and cats.